April Yanyuan Wu is a researcher at Mathematica Policy Institute. Previously, she was a research economist at the Center for Retirement Research at Boston College. She earned her Ph.D. in public policy at the University of Chicago in 2010, where her doctoral dissertation focused on the changes of economic well-being of the elderly in retirement, as well as older adults’ social program participation decisions. 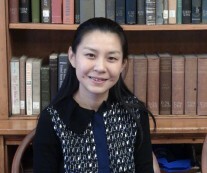 Dr. Wu’s research interests cover a broad area of topics in public finance and labor economics, with emphasis on the economics of aging, how government policies influence individual behavior, and poverty and inequality. The Transition from Defined Benefit to Defined Contribution Pensions: Does It Influence Elderly Poverty?